As my career in football developed in my role as Financial Regulation Officer at The FA, I was keen to develop my academic knowledge of sports business, having undertaken an undergraduate dissertation on the football transfer market and the impact of the Bosman Ruling. Working with a number of Birkbeck graduates at The FA, and through attending evening seminars on sports business matters on campus, I was already aware of both the quality and passion of the teaching staff at the school and had no hesitation in signing up for the Postgraduate Certificate in Sport Governance when the qualification was first established in 2010. In joining the course, I was able to engage with students from various backgrounds, from new graduates to experienced industry professionals from around the world. This created a rich pool of knowledge in sports business from a variety of different sports, which created an excellent environment for comparing different perspectives on sports governance. The structure of the syllabus and evening classes also enabled me to strike a manageable balance between work and studying. Since graduating, I have continued to engage in sports governance matters. 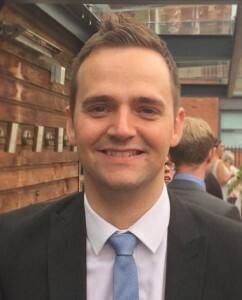 In moving from a governing body to become Assistant Club Secretary at both Blackburn Rovers and then Stoke City, and subsequently on to my current role as Club Secretary at Stoke City, I have since had the opportunity to put this knowledge of football administration and regulation into practice at club level. With a combination of first-class teaching and a strong passion for sports business matters, I had no hesitation in becoming a Birkbeck student and studying for such a highly recommended and well-regarded qualification.